Nordfjord is the most complete destination in Norway both in winter and summer. This is the spot where you have both high standard accommodation and also more reasonable alternatives in nice huts. Nordfjord is the place where you can ski in the morning, cycle around lunch and wavesurf before you go to bed. In winter and early summer the small local skilifts and the many mountain roads gives easy access into the mountains. The steepest cable car in the world – the Loen Skylift brings you directly to Mt.Hoven 1000 meter above sea leve straight from the fjord! From April to July, Stryn provides the best late season snow (maybe in the world?). And the long lasting season is proven by the Stryn Summerski chairlift which opens in end of May. 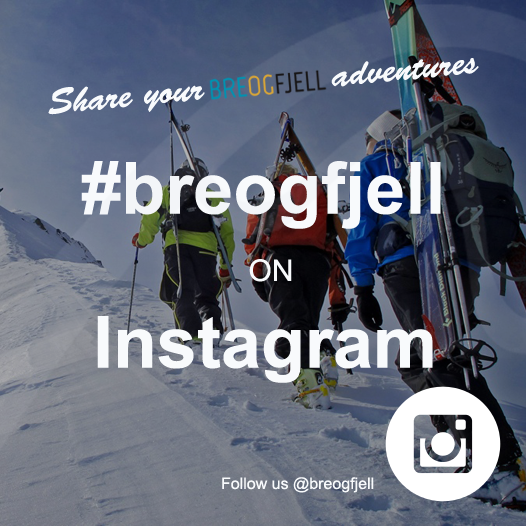 We start the skitouring from the valley/fjord, from the lifts or from one of the many mountain roads around. Arrival day in Stryn.  After arrival this is a perfect day to look around in Stryn or Loen, enjoy a better meal at one of the local restaurants, unpack all your equipement and relax after a long journey to Nordfjord. 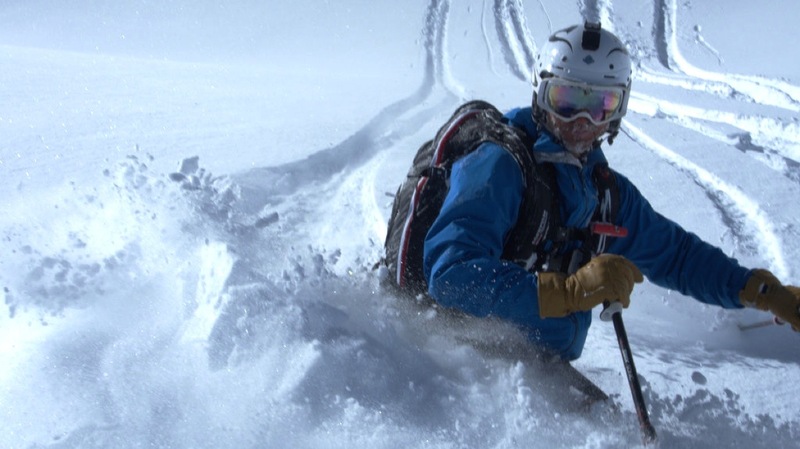 Your local mountainguide will meet you after breakfast at your hotel or hut. 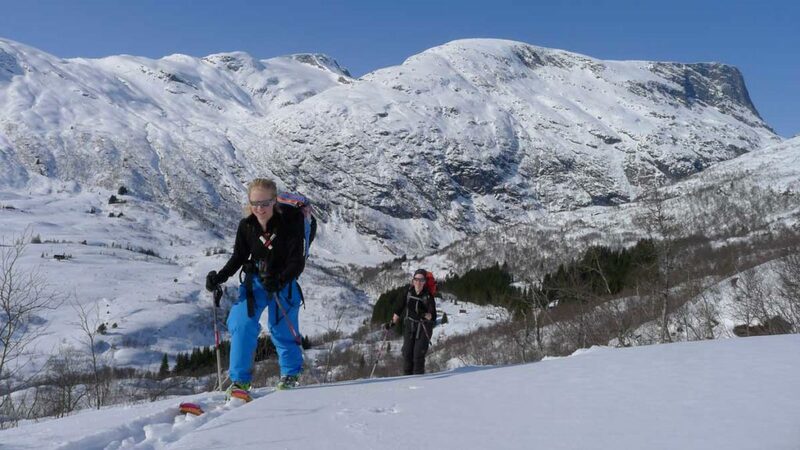 The guide will inform about the current conditions in the mountains and take you out on a shorter hike where we utilize the ski lifts in Stryn Vinterski, Stryn Summerski or the breathtaking Loen Skylift to access some of the finest lines in the valley. The combination of ski lift and some hiking will make it possible to do more skiing the first day. We plan for a longer hike to a peak that provides beautiful view of the Stryn valley. 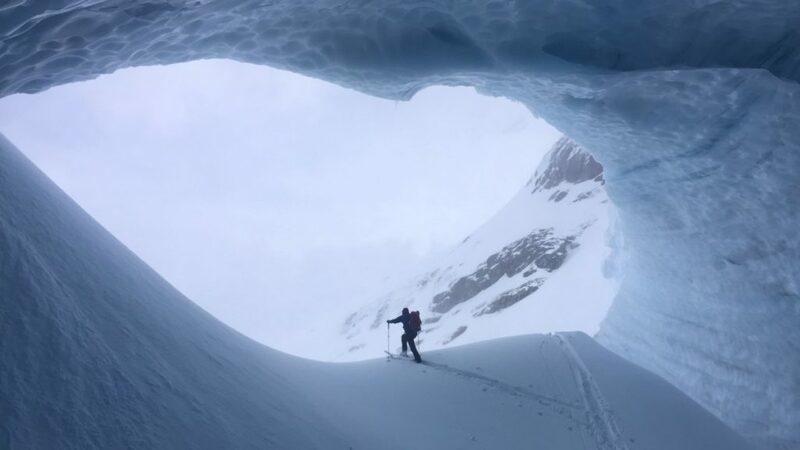 The descent will be chosen based on the current snow conditions and stability. Alternatives might be Mt.Rinddalshyrna, Mt.Midtstolshyrna, Mt.Storskredfjellet, Mt.Skåla. 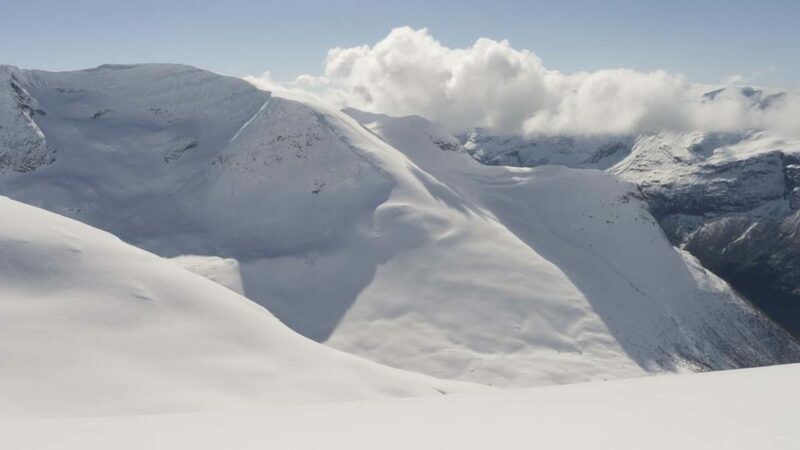 We might be able to ski all the way down to the Oppstryn lake or the fjord, and if the conditions are perfect, we might be able to enjoy 1600 vertical meters of skiing! This day is open for your preferences and whishes! 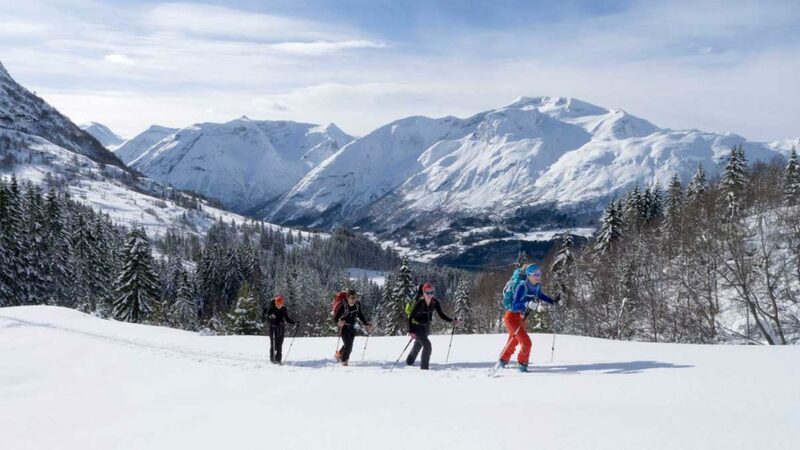 Whether you would like to do a longer or shorter hike, or ski around the Stryn Vinterski, Stryn Summerski or the Loen Skylift to access more of the finest lines in the valley. Your guide will try to meet your preferences to adjust to the snow and weather conditions. After skiing you are ready for transfer to the airport. The day to day program will be adjusted to meet your skiing/hiking skills, snow/weather conditions and travel initierary. You can rent all required equipment from us. 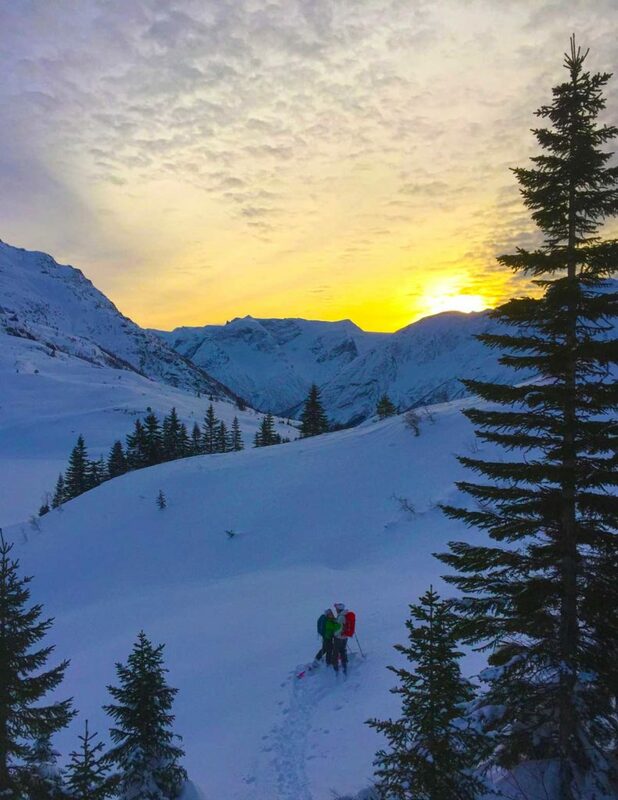 Either you are an experienced backcountry enthusiast, or a beginner, our tours are suitable for both! How many participants? We have a limit of six persons per guide. 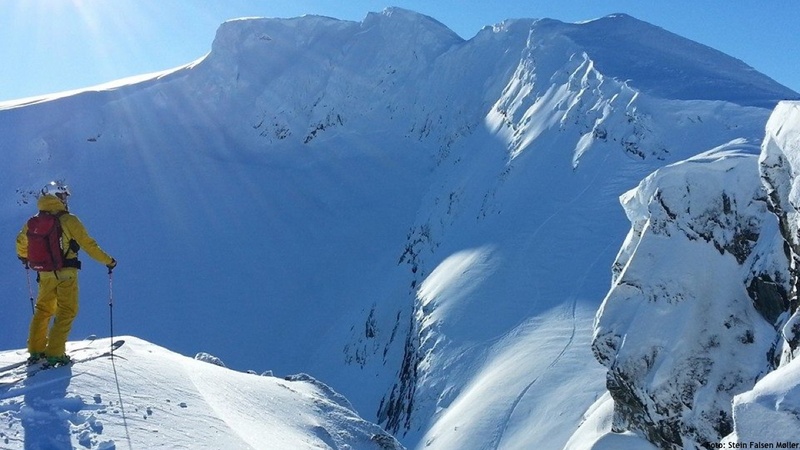 The 1800 vertical meter descend from Mt.Skåla is one of the greatest in Norway! This might be your skiing weekend! From NOK 3600,- per person. Our guides cater the trips to skiers of all capabilities, from first time skiers to professional skiers.